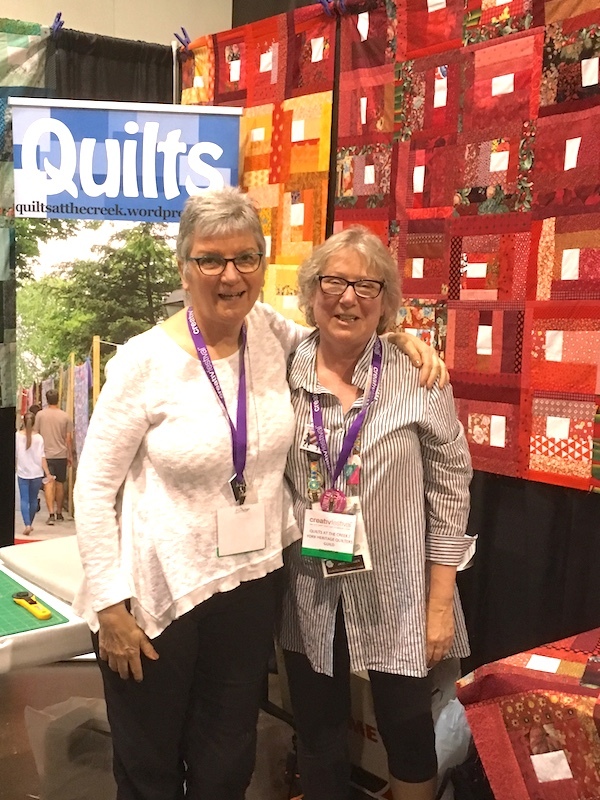 ← April showers keep quilters quilting! Thanks to all the volunteers who helped out at our booth at CreativFestival! 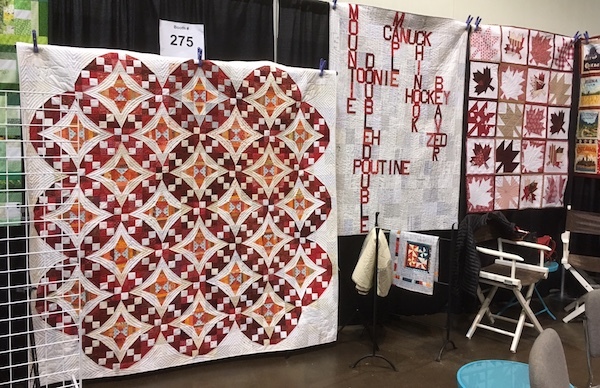 We promoted Quilts at the Creek, and gave a sneak peek at some of the red and white quilts which will be on display there… (from left to right, quilts by Valerie Prideaux, Shirley Dawson, and Jane Cramer). 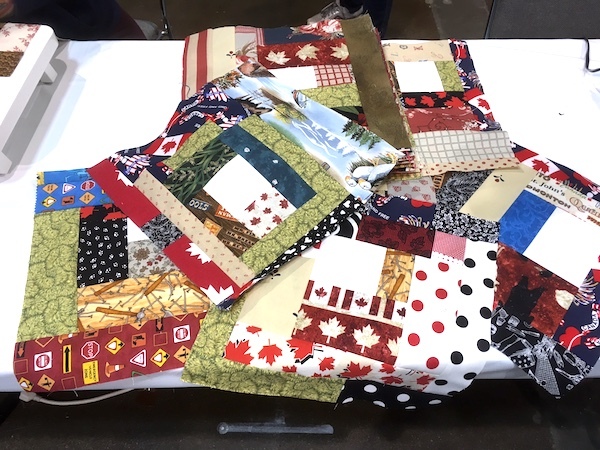 We also made 48 slab blocks for Quilt Canada, in their drive to make and donate 1000 quilts to Ronald McDonald House from all the slabs made by quilt guilds across the country.